These William Morris Wellington Boots are nothing new, but my blog would not be complete without posting these boots up. The print is called "Daisy" and was produced in conjunction with the Victoria and Albert Museum in London to coincide with their Arts and Crafts exhibition. 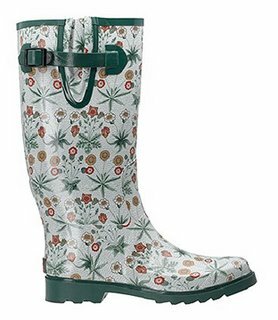 These are William Morris originals. This skate park is amazing. The whole thing has been painted by celebrated muralist Maya Hayuk. 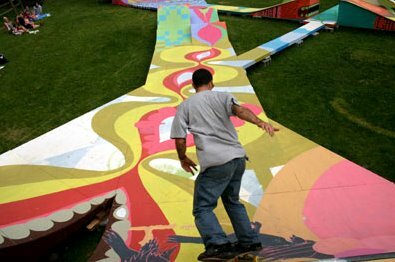 For me this is another solution for bringing colour into a skatepark, besides the often amateur looking graffiti that gets layered on top of each other on the parks ramps etc. Very colourful. This is the "Universal Hanger". 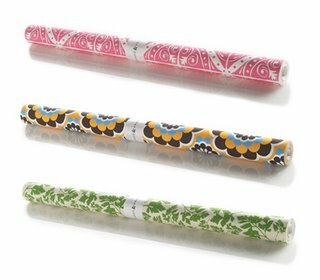 Made from a sheet material which is a combination of cardboard, corrugated cardboard and a thin sheet plastic material. 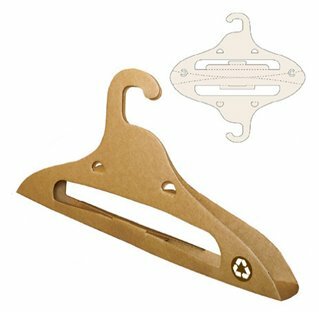 This hanger, which is cheap and recyclable, would be a great concept for hospitals, hotels and clothing stores. The surface area of the hanger is big enough for branding, graphics and advertising campaigns. Great idea! 60 Vision is giving its country's 1960 designs new life, giving recycling a whole new look. Their concept was simple, they wanted the world to look again at Japanese post-war design. So they searched high and low, no seriously from Mount Fiji to the shores of the Pacific, for old catalogues from which they chose products and repackaged them for a younger audience. I would have liked to have lived in Japan in the 60s, there is some amazing work that probably got over looked at the time. 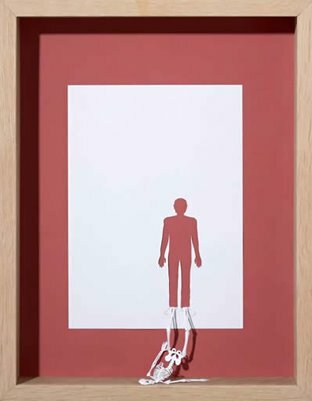 Peter Callesen, paper genius, likes to work mainly with white smooth paper. Through his work he portrays themes like fairytales. He decribes his work as, "a magic process", the creation of a flat piece of paper into a 3D form. His fine detail and amazingly accurate cutting is definately worth checking out. This bed just makes me want to curl up with a good book, read a couple of pages and fall asleep. If I had to choose a bed to do that sleeping in, this would be it. Designed by Zeitraum Mobel, the Silence model in their bed range has clean lines and wonderfully angled headboard, perfectly positioned for reading, TV or relaxing. 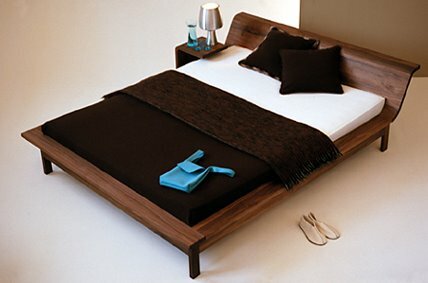 The wood of choice is walnut, giving the bed a great finish. 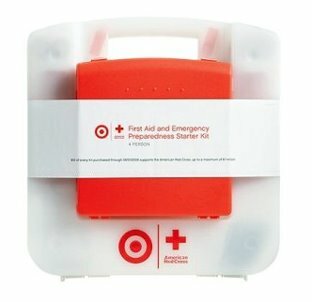 Target and the American Red Cross brought their heads together to create a First Aid kit that is not only functional but pretty too. It is called The First Aid Emergency Preparedness Starter Kit, it's quite a mouthful as well as an eyeful. It is designed for 4 people, and comes with essential items like ponchos, blanket, torch, radio and batteries. But maybe what is of more significance is the fact that for every kit bought, $10 is donated to the Red Cross. Simple, functional and has meaning, just the way I like it. LG and the Designers Guild have joined forces to create a limtied edition Steam Direct Washing Machine. 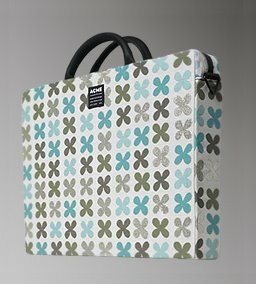 There are four designs produced from this collaboration, that bring a little colour and life to your kitchen or laundry room. Besides the cool exterior of the appliance, inside LG has created a unique Dual Spray system to improve washing performance by spraying hot steam and water on fabric continuously. But more importantly it uses 35% less water and 21% less energy, so it is more Eco-friendly. Thumbs up from me! These wallpapers are all hand-screened in limited quantities from Naked&Angry. Each paper colour and texture was researched specifically for the design to be printed on it. 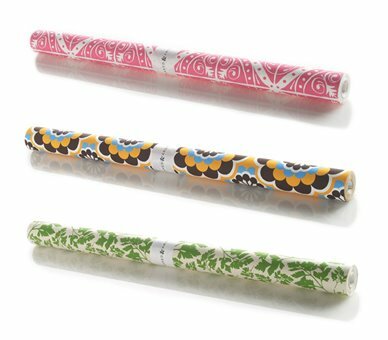 These wallpapers are meant to be used as accent colours rather than plastering your entire room with the brightly coloured paper. For example, sections of doors. Kitchen cabinets or desk surfaces. It could be just what a room needs,...Or not. Naked&Angry also encourages designers to submit patterns and designs which are in turn rated on the site by the public. The winning design gets produced and the designers wins a little exposure and cash. TimeOut Chicago is just about to release their Photo Issue representing different neighbourhoods through the eyes of pro and amateur photographers from Chicago. Some interesting photos, I thought that it would be a nice project for Durban City Council to run, I think there would be some great images to come out of Durban or any South African city. You could even link it to a campaign of some sorts...just an idea. Oh yes, that's right, an awesome holiday venue in Slovenia. 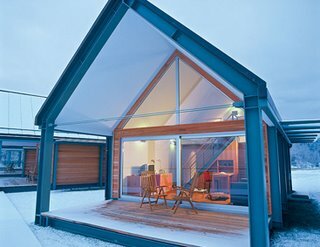 Four chalets, fitted comfortably for two people, fully furnished and situated on the Italian border. Amongst other things, you can ski, hike or climb through the picturesque mountainous landscape. Nebesa is on the slopes of Mount Kuk, two kilometres from from the village Livek. It is really scenic and beautiful, go and have a look at some of the photos, really amazing. A Brooklyn based designer, Palo Samko, creates pieces that reflect the natural beauty of wood, joinery and craftmanship. Amazing work to see. Go here to see more. Ok, this post is not current design or a new innovative concept. It happened in 1962 and it was called the Type 34 Karmann Ghia. I love Karmann Ghias. They are,without a doubt, my favourite car of all time. 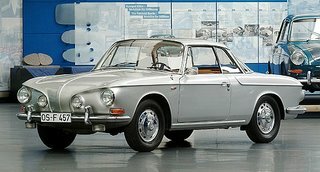 The Type 34 is a sportier version with a 1500cc engine and does not resemble the original Karmann Ghia shape, but was the most luxurious and most expensive VW at the time. The model included an electronically operated steel sliding sunroof, and more space for luggage. Only 42 000 of these were made, making it a rare find for motor enthusiasts. This calendar from Pentgram is a typography nerd's dream. The 2007 calendar, designed by Kit Hinrichs with Hoefler & Frere-Jones, features a unique typeface each month, designed specially for this project. 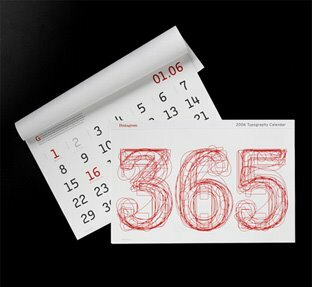 The calendar comes with details of the inspiration behind each typeface. The calendars are desk or wall mounted, it's your choice! DAB1, digital MP3 radio with memory card, is super slick and simply beautiful. Scandanavian company Norway Says designed DAB1 for Asono. Available in black and white it has a smooth, cool display, which can be rotated so the unit can be used both standing, upright or horizontally(pictured). Parks are for relaxation, play and tranquility. 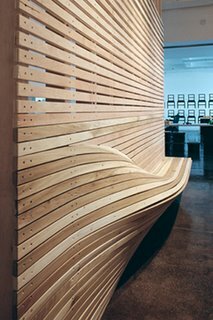 Therefore objects suchas park benches should reflect this ideal and concept. Nola, created in the 1960's, has created a playful approach to outdoor furniture. 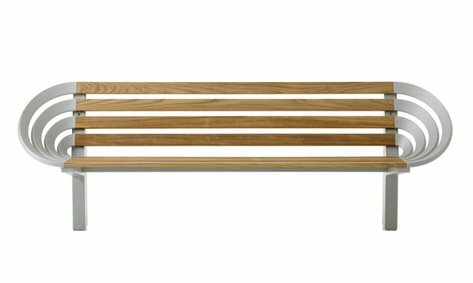 For example this park bench above, called Park Lane, shows that you do not have to look tired and robust to weather the elements. Looks comfortable doesn't it? 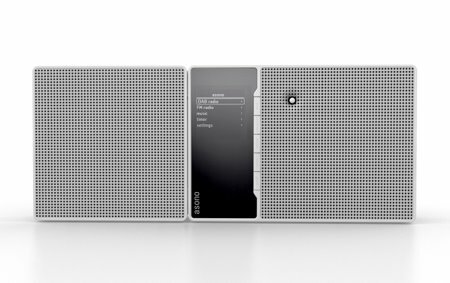 The Designer Slim is made to fit most laptops, from Apple to Sony and of course Dell. It comes with a leather handle and shoulder strap for you convenience and has splash proof zipping. It has a 1 year warranty, as well as closed cell padding, high impact plastic inserts and quilted satin lining. 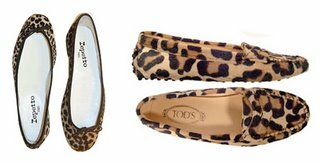 There are many patterns to choose from and they retail for about R1200-00. Way better than just your regular black leather case! eleventwentyfive has a irresistable collection of pillows and other creations at your finger tips. 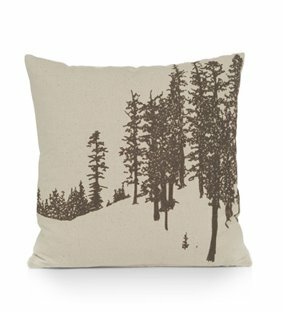 The pillow featured is from Ann Faison's ongoing collection of stylised tree prints. So far to date, Ann has done 100 works that have recieved recognition. Her project started as an attempt to draw every leaf on the tree, evolving to the prints from her series. These pillows go for a cool R500-00. I think they definately worth it. According to Coggan + Crawford Architecture and Design, "Architects actually have a tendency to design bad chairs," said Annie Coggan of C+C. 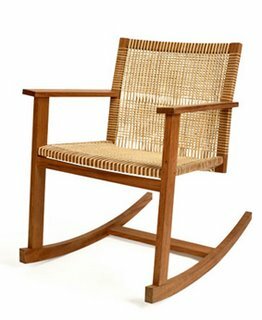 "They'll hold on to the iconographic quality of the chair. They're often not very wondefully proportioned." On the wall chair, "We wanted to throw the iconography out the window." The wall chair was on show in honour of the un_seated exhibition featuring concept chairs from design firms. The wall chair, I think, would work well in public spaces such as parks, airports, shopping centres and offices to name but a few. Great concept. If I had this chair, I would sit in it all day, everyday. 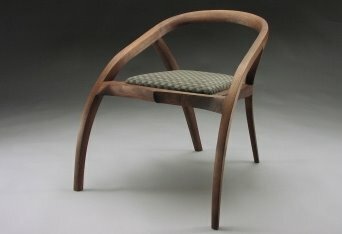 It was created by Nathan Kushner of Ontario, it is called Bentwood No. 2. 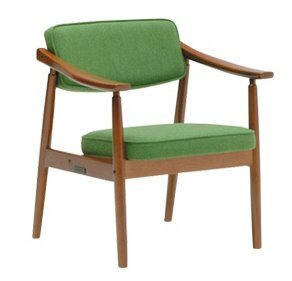 That sounds like a piece from Mozart, and like Mozart is easy on the ears, this chair is easy on the eyes. Fantastical. 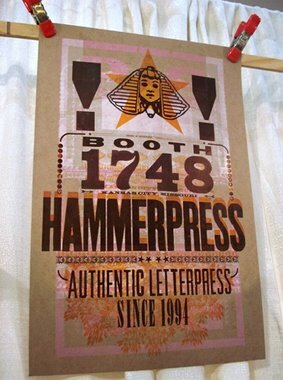 Hammerpress, from Kansas City, create amazing posters, cards, calendars and more! Also included in their work are blockprint cards, full of colour and amazing layout, especially on the concert posters. (Bands like Interpol, Calexico and more.) It has quite an old world rock 'n roll thing happening. 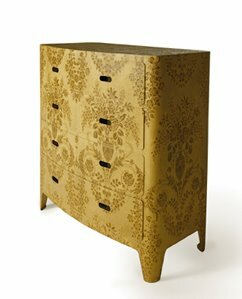 Designed by Piet Hein Eek for Moooi, the appropriately named "Eek" steel dresser is a beautifully finished baroque piece. The pattern is wallpapered onto the steel dresser to give it a smooth distinct finish. So beautiful, I want one. It is roughly R20 000-00. Thanks to DesignMuti (Great blog!) 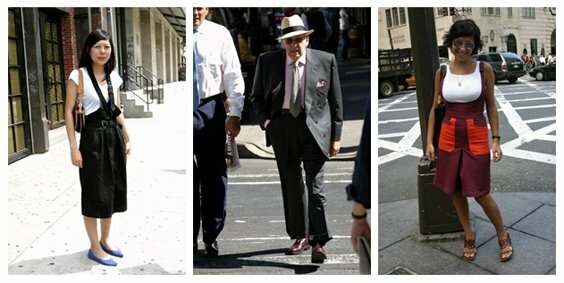 I was exposed to The Sartorialist. What a great idea for a blog. The photographs are shots taken on the streets of New York of peoples clothes and outfits. This blog is updated regularly and is so interesting. I wish we had the selection that New Yorkers do in clothes and wardrobes. The diversity and freedom that they have is so inspiring. Ignacio Garcia, restaurant designer, has just added an exotic eaterie in trendy Chueca. 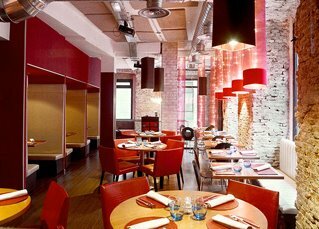 Wagaboo consists of brick walls and exposed girders, giving an industrial feel, but with wooden floors and vibrant colours it reflects a welcoming atmosphere. The menu consists of international dishes to tickle your tastebuds. If you get the chance you must check out the website, it reads just like a book, where you turn the pages with your mouse. 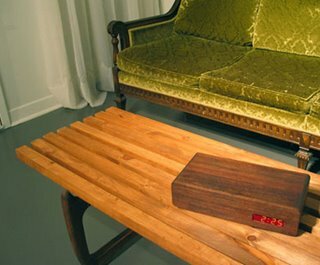 This material used in this desk is a stained beech wood from a forest in Southern Germany. It is smooth, stylish and natural. The XXS was designed by the German manufacturer Handwerken and has functionality and style. The rain in Spain falls on a chocolate plain. 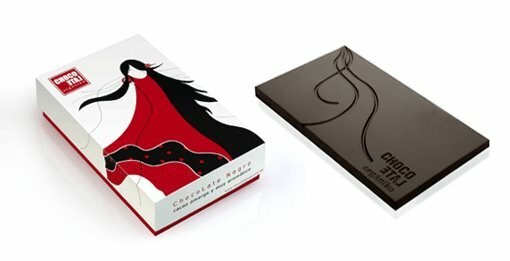 ChocoLate Organiko is based in Spain and was formed by a group of professionals from the design and chocolate industries. This is pure chocolate. Pure chocolate with no additives. Exclusively designed to transmit the purity of the elements and of course the chocolate. 100% natural and 100% chocolate. Beautiful. Discovering new talent in the developing world is key to the recognition and sustainability of these regions. The North South Project has been created by Patty Johnson and global collaborators insearch of viable design that reaches across the north/south axis. The project aims to bring new products from the southern hemisphere to the northern markets. The project has been going for two years and has reached into countries like Botswana and Guyana searching for new design talent. The value of the creation is based on the ecological, cultural and economical sustainability for all participants and desirability in contemporary market places. WeAr is a fashion work book, it conveys visual information instead of long-winded texts. 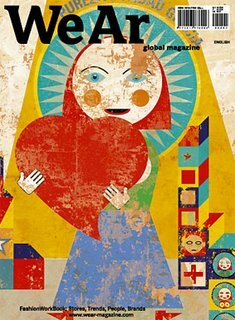 It is a magazine that has facts instead of opinions and the reader is presented with the most interesting collections, stores and trend reports from the worlds major cities. It also includes valuable insight into trade fairs and provides clarity on relevant information. A little pricy (+-R400-00) but definately worth a look. 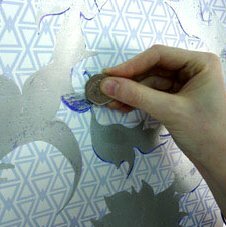 For this design a silvery sheen, like the ones used on lotto scratch cards, is applied over the floral pattern of the wallpaper. Linda Florence has created interactive decor that lets the home owner create personalised and creative selections of patterns, revealing portions to intrigue the viewer. Kicks Finder has relaunched their site with over 500 pairs of shoes. It is one massive visual sneaker locator. Ok, I know I have had a couple of shoe blogs so I promise to get more design orientated blogs. Scouts honour. An avid fan of paper, when I discovered Shin Tanaka's paper creations I was stunned into silence. He is really talented in combining the art of origami and street art. He communicates traditional japanese styles to youth cultures in a new stylised manner, creating an exciting link between two cultures. One contemporary, the other traditional. Shin's work is really incredible, you should try and check it out. We all know that Stella McCartney and Adidas teamed up a few years ago to create a fusion of performance and style. To date the collection has included three categories Running, Gym and Swim, but this year there has been a fourth added, Tennis. These lines are groundbreaking in their functionality with a certain style and an innovative twist. And it uses a really nice font for the categories. Le Bouclard is situated in the heart of Paris nestled between the berets, stripy shirts and croissants. This store sells items that only a very few people will call their own. This store only sells limited edition items. The way we like it. We all like to have items that nobody else has, it makes us feel unique. Just check out these "Back to the Future II" Hi-Tops. Fantastical. Adidas has recently launched there skate originals range with Mark Gonzalez as their sponsored rider and spokes person. 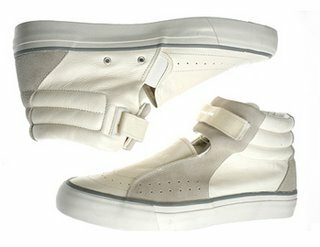 The shoes have been specifically designed for the hard effects of skating and thankfully they look the part as well. I really like the direction Adidas is taking with this brand. Created by the Molk family, who hire young architectural talent to design its stores, Mpreis shows that to have a full scale shopping experience, you do not have to be in a huge mall to have it. Mpreis has 120 stores in central Europe, mostly located in Austria, having being designed by 30 different architectural companies. These stores compliment the landscape, as the landscape compliments them. 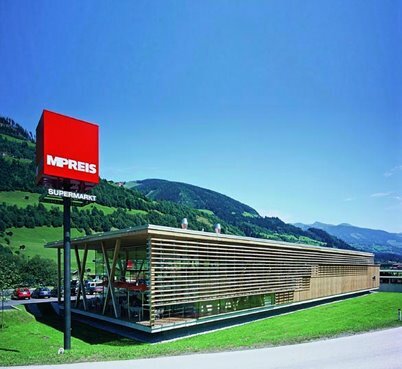 They have been so well designed that Mpreis stores are fast becoming a tourist attraction. I have always liked camo. My favourites are the old East German jackets and Flek. Addict clothing is streetwear with skate influence, specialising in mens and womens clothing, camouflage, caps and spray paint. 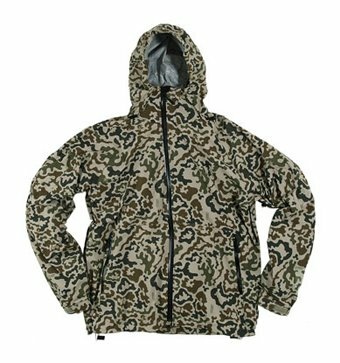 They produce great mens jackets and hooded jackets. This example featured above, Swift Camo, was a limted edition line that unfortunately sold out. Addict, although not new, are developing progressive street culture clothing that is really fresh. Haldane Martin's furniture offers a new perspective on our emerging South African identity. 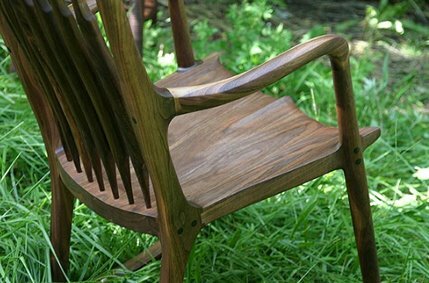 The pieces utilize clean steel, recycled plastic and sustainable timber, reviving traditional craft techniques. 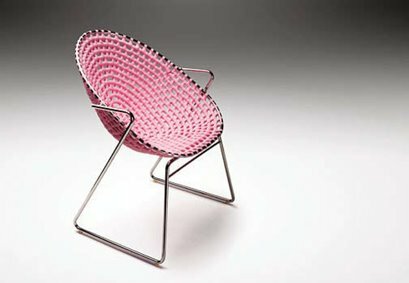 The Riempie range is especially cool, I love the chairs! The new Dior accessories have hit the floors of the Dior stores. 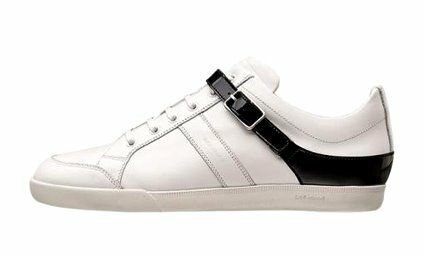 This white leather shoe with buckle is a good example of their direction. For some reason buckles have stuck in my head since seeing an ankle buckle on a brown leather shoe in a Vogue Homme magazine six months ago. It might make this sound like an old sighting but buckles might look great on sneakers in the future. Hip hop on over there. 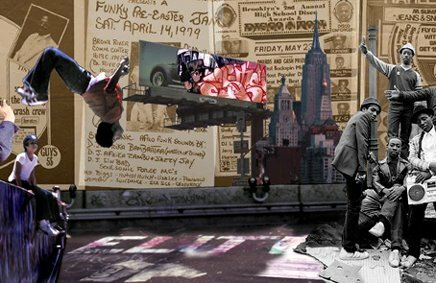 A legendary hip hop documentary with a website of fantastical proportions (yes I used fantastical again). 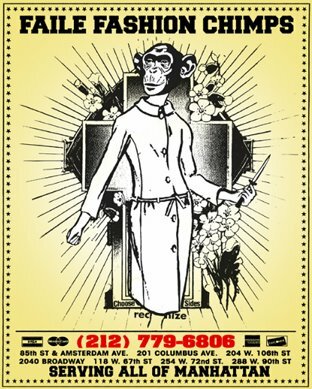 The Style Wars website was up for a webby this year and numerous other awards. It is amazing! One of the best websites I have ever seen. Go check it out...now! This project is about taking everyday rituals and turning them into interaction with the intention to leave a smile of satisfaction on the viewers face. 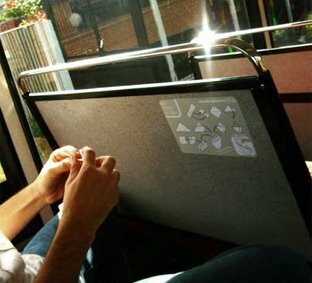 Bus ticket origami was created by Rez-Design and is intended to give your A to B trip a little Z. 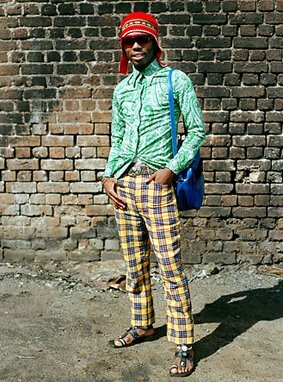 "The eye of the beholder" series shot by photographer Lolo Veleko was applauded by New York Times, they called it "eye-tingling". "For me it is a personal project, I see these people as my little heroes...I don't listen to anyone around me when I see them." Born in Cape Town Lolo studied photography receiving her advanced diploma in 2003. Identifying with her subjects, she seeks matter that stands out and a style that sets the matter apart. Western house are made for standing and Japanese houses are made for sitting. 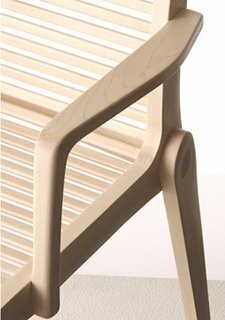 This concept according to Maruni is why Japanese designers are way ahead of their western counterparts in the areas of chair design. Maruni was established in the early part of the 20th century to serve, create harmony and to innovate. Today they are determined to offer happiness and surprise, providing products of supreme quality. 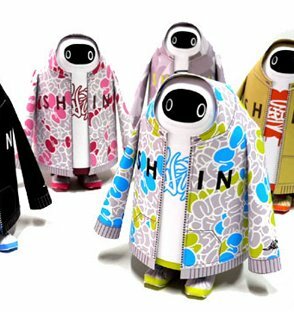 Previously I had posted Kami-Robo, Tomohiro Yasuis' paper robot creations that have personal lives, TV broadcasts and an increasingly large fan base. 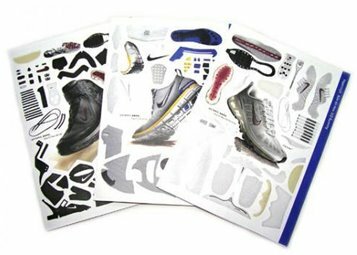 Nike Japan has team up with Tomohiro and created paper Nike craft kits as complimentary gifts at all Nike locations in Japan. A tradition in Japan, paper crafts has evolved to paper sneaker themes becoming very popular amongst youth cultures on the streets of Tokyo. In Paris a store known as Colette representing an idea to compile innovative yet grounded notions concerning how a "boutique" in France might embody the mantra, "styledesignartfood". It is world reknowned for its sound product presentations which rethink how consumers observe, interact and purchase their goods. 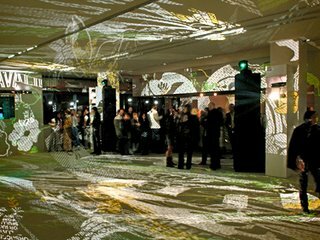 All senses are served exponentially as members of the public can frequent the downstairs water bar and mini-supermarket while being bathed by giant plasma screens exuding an energetic bouquet of image and sound. Montreal-based design duo Furnicreations offers updated takes on 1970s-inspired goods. Very simple and clean, maybe a little retro but really nice clocks like the one featured above. 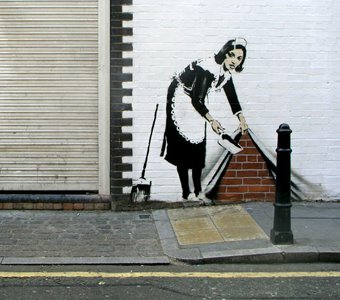 Banksy has been described as an "Art terrorist" because of his detailed use of the spray can and the messages he portrays in his graffiti. In the past he has sneaked his artwork into galleries and even placed a hoax exhibit on display at the British Museum. His work often creates a lot of controversy but funnily enough the owners of the walls he marks often want to keep the artwork. Diesel recently relaunched their flagship store in Dusseldorf and threw a huge 300 guest party. Flora&Fauna was hired to create a bold visual installation, all visuals were built using microscopic typography creating some radical images. Using slide projectors, they threw images onto every available surface. The guests bathed in light were effectively dressed in Diesel. Flora&Fauna have got really interesting projects diplayed on their site. Their use of space with light and visual consideration is excellent. Check the VW Fox launch party. Vincent Peters began taking pictures on a trip to Thailand in the 1980's which were later published. 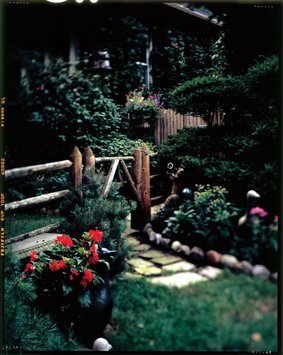 Moving to New York in 1989, and began work as an assistant photographer. In 1990 he began fashion photography and only in 1998 did he turn his attention to art photography, publishing works in art-photography magazines. He joined Art Partner nad brought his mix of the art world and fashion photography together and dedicated his time to shooting fashion. The best photographer I have seen. I love his work! Luis Sanchis' use of lighting is amazing. 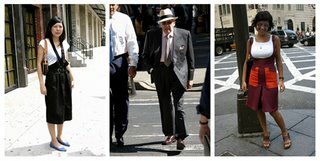 Spanish born, he moved to New York in 1994 and never looked back. Great work! He has recently exhibited his work at the Viaux Fashion Photo Gallery in Berlin. He has worked for labels such as Gucci, The Face and Diesel. Faile is a New York based creative collective working on all mediums in design. From street art to magazine covers and clothing. They are three designers/artists from different countries, Canada, Japan and the US. "Collaboration" is there key word. 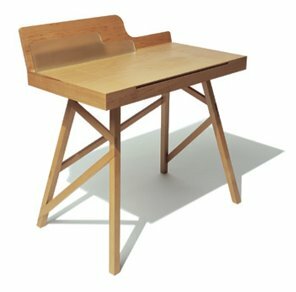 A really nice website, where you can view designs and works. It really reminds me of the back pages of 80's comic books, with all those ads selling wierd items like "x-ray specs".